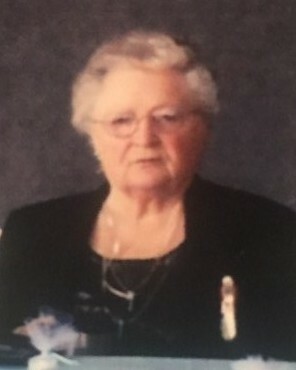 Mrs. Dorothy N. Vickery Butler, age 85, of 47 Shaker Lane Pittsfield, died Wednesday evening at the Mt. Greylock Extended Care facility after a brief illness. She was born in Pittsfield, October 28, 1933, the daughter of the late Winfred and Nellie Houghtlin Vickery. Educated in the local schools, Dorothy was employed with the City of Pittsfield School system as a cook in the cafeterias of Reid Middle School initially. Continuing her service with the school department, she transferred as a cook at Highland School before transferring to Stearns School. Dorothy retired in 1995 with a total of 16 years of service. She formerly attended the Immanuel Community Church and was a member of the American Legion Persip Post # 68 Auxiliary and the Polish Community Club. Dorothy loved to travel, and especially enjoyed visiting Ireland several times. Her husband, Arnold Butler, whom she married in Stephentown, NY on Feb. 22, 1958, died Oct. 30, 2003. She is survived by her brother, David Vickery and her sister, Terry Hadsell, both of Housatonic, her nieces Kellie Wood, Tracey Way, and Linda Wood as well as Mary Grace Tooley. Calling hours at the DEVANNY-CONDRON FUNERAL HOME will be SUNDAY, Dec. 9th beginning at 1:00 PM with funeral services to follow beginning at 3:00PM. Burial will take place in the Hancock Cemetery in the Spring. In lieu of flowers, memorial donations may be made to HospiceCare in the Berkshires, in care of the funeral home.